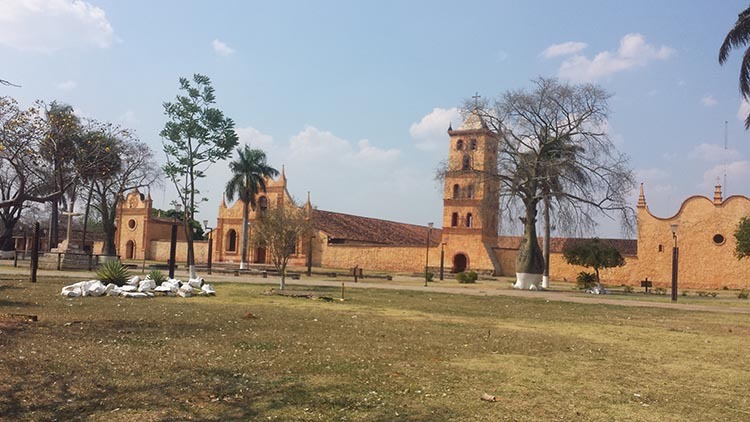 Jesuit Missions of Chiquitos are located in the department of Santa Cruz, Bolivia. Six of these missions have been declared a World Heritage Site by UNESCO in 1990. At 7H30 a.m. we will pick you up to take you to the town of Concepcion located 280 kilometers away This trip will be done on a paved road, passing by several towns and villages of migrants people from the high lands of Bolivia and Mennonites colonies. This trip is crossing an agricultural area, which grows soybean, sunflower, and several types of other grains. There, we can also realize the relentless advance of the agricultural frontier from 30 Kilometers (48.38 Miles) off Santa Cruz. The trip to Concepcion takes approximately 5 hours. On the way we will stop in San Javier on 542 meters on sea level. In San Javier, a town with indigenous background, founded in the year 1691 by the Jesuits. We visit its famous Jesuit church and the museum in company of a specialist guide, who will explain us some details of the work done by the natives and the Jesuits. Lunch in San Javier (or in Concepción) Then we continue to Concepcion. Lunch in San Javier or in Concepción. Then we continue to Concepcion. This town was founded by the Jesuits in the year 1708 with 10 different tribes, each of these tribes then spoke different languages and worship different gods, each of these gods represented the nature. In this town we will visit the Museum, and the church with a specialist guide. Also this guide will tell us different details of the work done by the Jesuits. After this we return to the city of Santa Cruz, where we will be arriving at night time. At 8H30 a.m. we will pick you up to take you to the town of Concepcion located 280 kilometers away This trip will be done on a paved road, passing by several towns and villages of migrants people from the high lands of Bolivia and Mennonites colonies. Once In this town we will drive you to your hosting place. The visit to Museum, and the church with a specialist guide could be done today or tomorow morning. It depends on the arrival time and others factors. During the tour in Concepcion guide will tell us different details of the work done by the Jesuits. After this we return to the city of Santa Cruz, where we will be arriving at night time. If we took the tour to the church and to the museum the day before. Today after breakfast at 9:00 we will go to the craft work shops or to a place call El Orquidiario. (Orchid´s place) Also we can visit the dam of the town. We need to leave Concepcion towards Santa Cruz about noon. We will reach Santa Cruz about 17:00 hours to bring you to your place. This town is on 530 meters above sea level About half of this trip will be done on a paved road, passing by several towns and villages of people that moved from the high lands of bolivia to the low lands of santa Cruz. Also on the way we may see some Mennonitescolonies. This trip is crossing an agricultural area, which grows soybean, sunflower, and several other types of grains. There, we can also realize the relentless advance of the agricultural frontier from 30 Kilometers (48.38 Miles) off Santa Cruz. The trip to San Ignacio takes approximately 9 hours. San Javier, is a town with indigenousbackground, founded in the year 1691 by the Jesuits. In this town in company of a guide we will visit its famous Jesuit church and its museum. The guide will tells about how the the work of the jesuits to change the culture of the natives of the Chiquitania and others details about it. Lunch would be in San Javier or before. After San Javier we keep going to Concepcion for about 1 hour and a half. Concepcion is on 534 meters above sea level largely Chiquitanos´ background. And other tribes gathered here the time of the Jesuits, although there are also people of foreign background. We leave Concepcion as early as we can because we still have a long drive to San Ignaciio de Velasco. 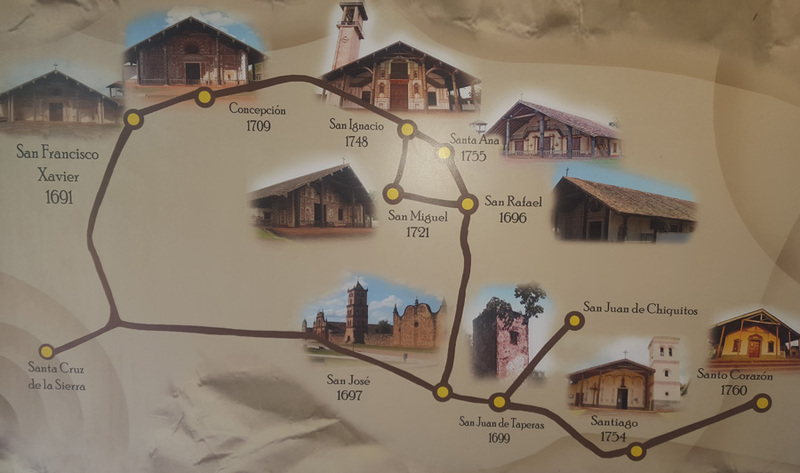 Before arriving at San Jose de Chiquitos we plan to visit the Jesuit churches, in the small towns of San Rafael San Miguel, and/or Santa Ana. 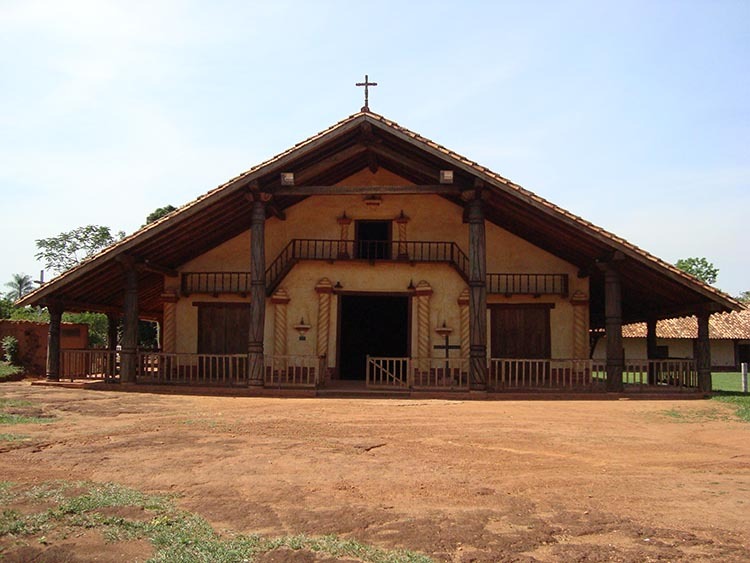 These churches hold much of the original work of the Tribes and Jesuit missionaries. 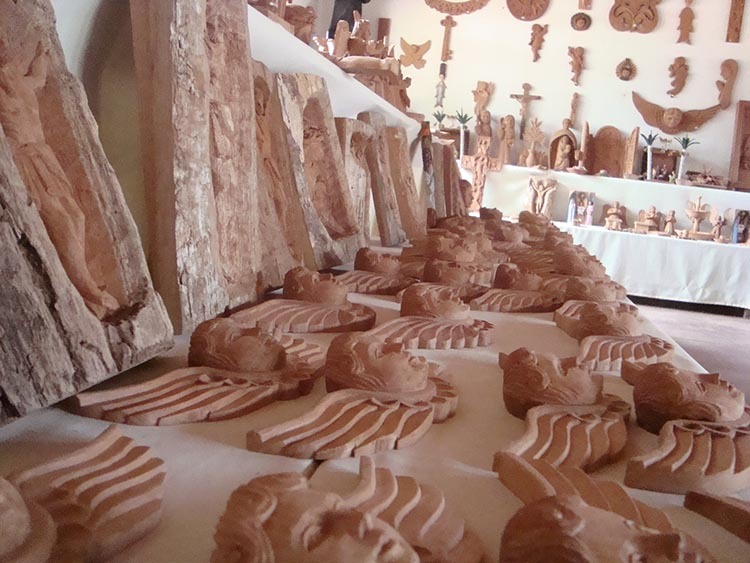 In San Miguel de Velasco there is a wood workshop and a souvenirs shop. We can also visit these places. You do not have to buy anything. After San Miguel we drive San Rafael. It is about 40 km on a dirt road. From San Rafael we have to drive back about 30 Km to visit Santa Ana de Velasco. 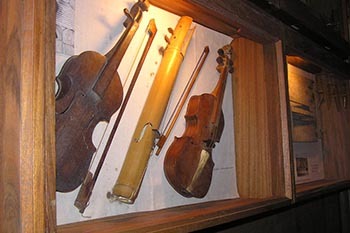 In Santa Ana we will try to hear some baroque music from the local people. From Santa Ama we have to go through San Rafael to keep going to San Jose de Chiquitos. Still 170 km down the road. The total time from San Ignacio until we get to San Jose de Chiquitos can be 6 hours or more. Once in San Jose de Chiquitos, we check in at our respective hotels or Hostels. 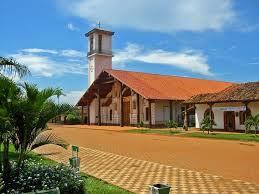 or we go directly to visit the jesuit mission complex which has a museum. In case the guided tour in San Jose de chiquitos was not possible to do it today. It can be done tomorow. Later we headed to the city of Santa Cruz distant about 4 hours away. The whole road to the city of Santa Cruz is paved. After arriving in the ciy of Santa Cruz we take to your hotel. Some parts of this tour may be change to make it better. During this trip, and about 40 kilometers after leaving Santa Cruz, we passed through several small towns of people from the highlands of Bolivia (Altiplano) and also we pass close by some Mennonite colonies. This trip is across a vast agricultural area, where the main production is the Soya, sunflower and other grains in smaller amounts. Here, about 30 km way from the city of Santa Cruz, you can see the relentless advance of the agricultural frontier. In San Javier most people are or have large native background. This town was founded in 1691 by the Jesuits. In this town we visit the mission church and museum in the company of a guide. He or She will show us different parts of the church, telling us about contruccion of the missions and the methodology used by the Jesuits to implement the changes in the Chiquitania and their area of influence. Lunch at San Javier or perhaps earlier. Depending on how this trip has been developing. After San Javier we go to the another missional town. Concepcion, which is located about 60 km more on the way. Concepcion was founded in 1708, with the Zamucos and ten others different tribes. Each one of these tribes used to worship different gods all of them represented in the nature of the forest. In Concepcion in company of a guide, we visit the church and the two museums which are larger than the one in San Javier. Here too, the guide will give you a detailed explanation of the exhibiting objects, with an explanation of the restoration work of the Jesuit churches. It is also possible we also visit the wooden workshop where the local people make the wood carving. Dinner and overnight in Concepción. If the first day the time is not enough to visit the church and museums, this can be done the 2nd Day. Continuing our trip to San Ignacio de Velasco, still 171 km away, which means about 3 or 4 hours because the bad road conditions. Lunch will be at a simple small restaurant on the road, with only one or two meals to choose from, or it could be once we arrive at San Ignacio. Of course it depends on how you feel at the time. 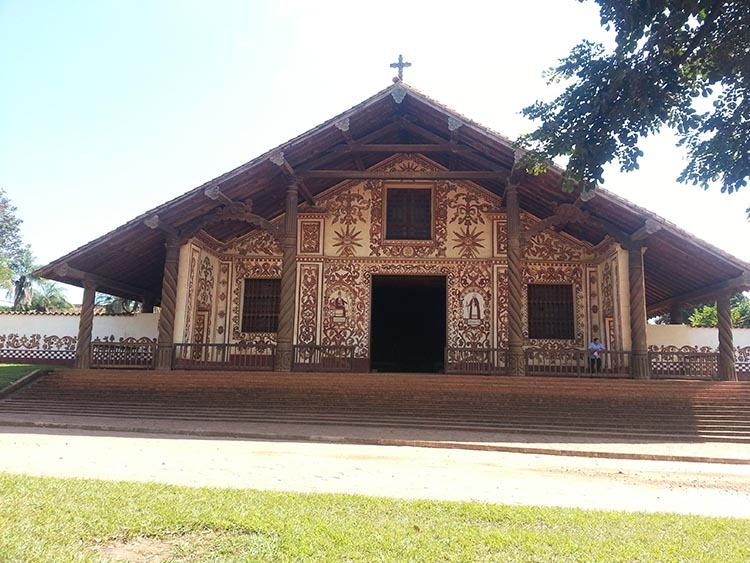 San Ignacio de Velasco is the only church of the Jesuit Missions of Chiquitos that was not declared world heritage by UNESCO. The trip to San Miguel will be directly after arriving at San Ignacio depending on the time available to get to San Miguel before noon. In San Miguel besides visiting the church we may go to the wooden and craft shop of the village, so you can buy some souvenirs right from the woodshop. Dinner and overnight in San Ignacio. 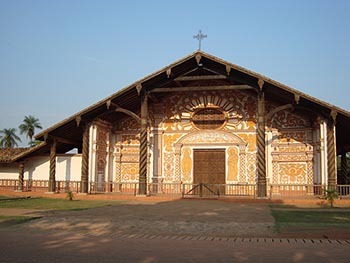 During this trip we will visit the mission of Santa Ana distant about 40 kilometers of San Ignacio de Velasco. In village of Santa Ana we will visit the church and also we will try to listen to some interpretation of Baroque music, if the right people is in town. 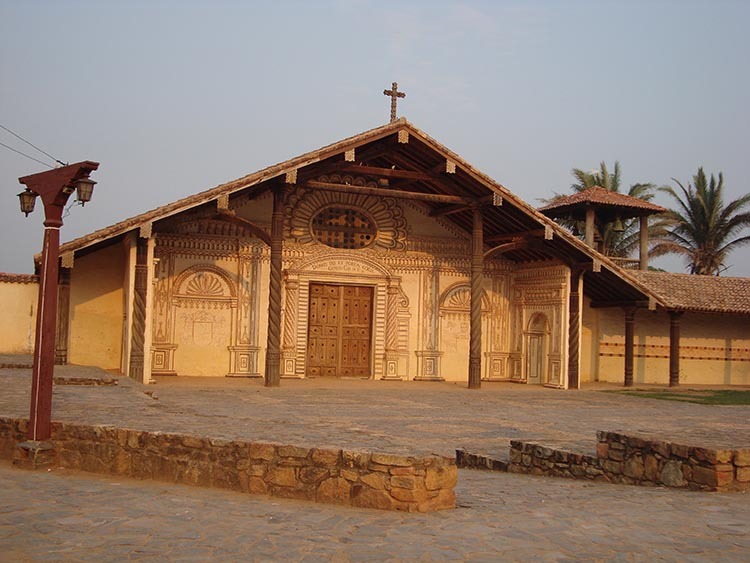 After Santa Ana, we go to the jesuit mission of San Rafael, located 35 miles from Santa Ana. In San Rafael we have the oppotunity of visting the church of the town. From San Rafael we keep going yo San Jose de Chiquitos still distant 170 km for travell this day. Once in San Jose de Chiquitos, we check in at our respective hotels or Hotals. or we go directly to visit the jesuit mission complex which has a museum. 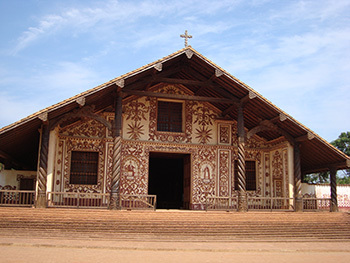 A visit to the church of San Jose de Chiquitos and its museum can be considered a final complement to the history of the Jesuits in the Chiquitos. Later we headed to the city of Santa Cruz distant about 5 hours away. Tours In Bolivia is the only original source of this Itinerary. Adverse climatologic conditions or social unrest can chage the original itinerary. 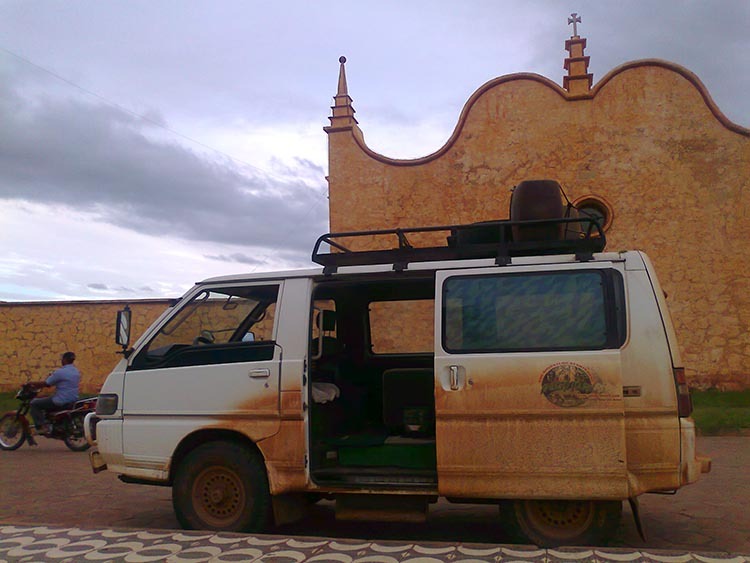 Tours In Bolivia also offers longer and shorter Jesuit Missions Tours. 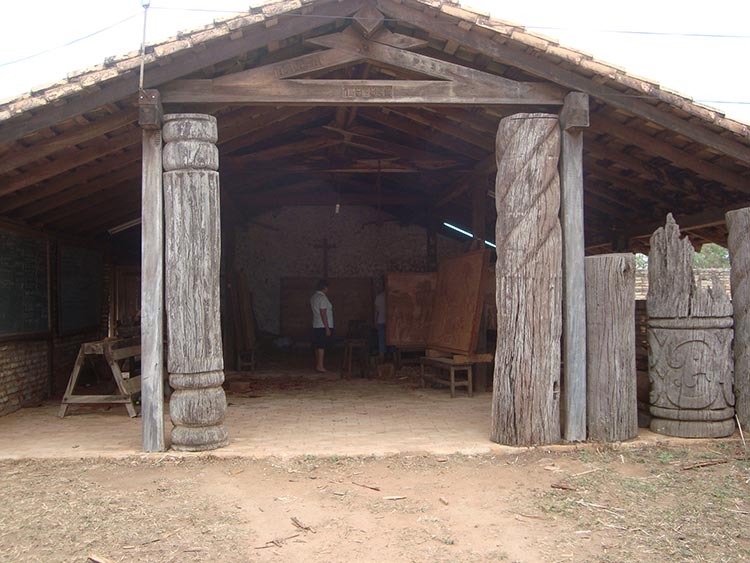 He or She will show us different parts of the church, telling us about construction of the missions and the methodology used by the Jesuits to implement the changes in the Chiquitania and their area of influence. After San Javier we go to another missional town. Concepcion, which is located about 60 km more on the way. 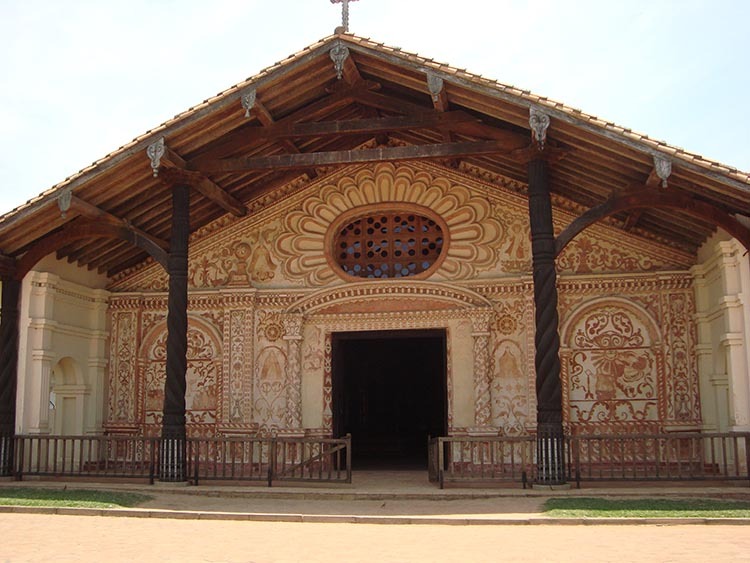 San Ignacio de Velasco is the one of churches of the Jesuit Missions of Chiquitos that was not declared world heritage by UNESCO. In San Miguel besides visiting the church we may go to the wooden and craft shop of the village, so you can buy some souvenirs right from the wood shop. 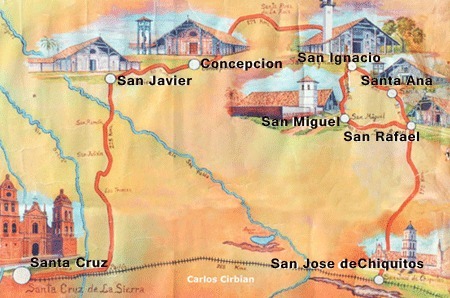 After Santa Ana, we go to the jesuit mission of San Rafael, located 35 miles from Santa Ana. 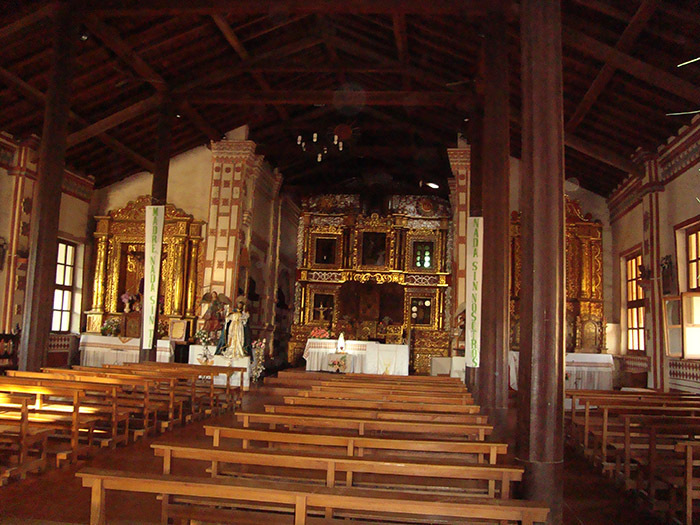 In San Rafael we have the opportunity of vesting the Jesuit church of the town. From San Rafael we keep going yo San Jose de Chiquitos still distant 170 km for travel this day. Once in San Jose de Chiquitos, we check in at our respective hotel or Hotels. 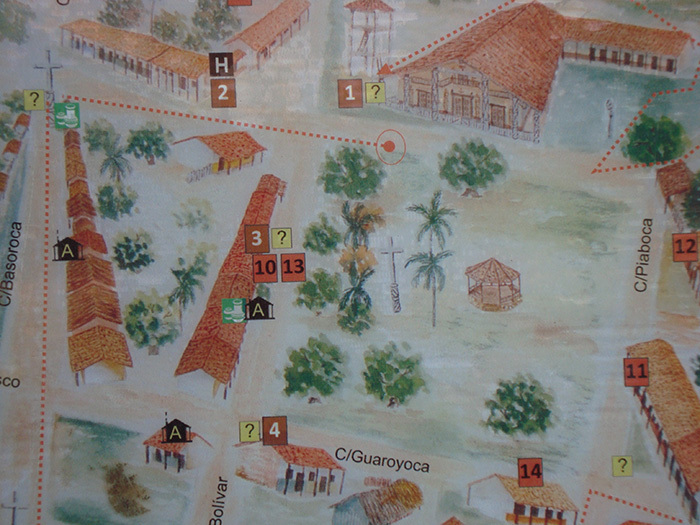 Or we go directly to visit the jesuit mission complex which has a museum. During this trip on the paved highway, we will have the opportunity to appreciate the beautiful red tinted mountains that seems to glow with the sun down reflects on it like. Especially for the first time visitors. Chochis is on 250 on sea level. And it has about one thousand five hundred inhabitants. Beside from wood carving what we can see is the usage of large amounts of local construction material. As red stones which seem to be used in all the walls and this looks as a very good combination with the surrounding mountains right outside the building. After Chochis we get back on the highway towards Aguas Calientes. Aguas Calientes which is a small community almost on the side of the highway a few blocks block in driving in the community we get to a river known also with the same name of the community. In this river the water have a temperature of approximately 40 ° C with a sandy riverbed. On both sides of the river in the part where there is no human presence the vegetation is exotic and lush. This part of the river is called "Los Hervores"
Many local and nearby people as well as from the city of Santa Cruz and other parts of the country come to Aguas Calientes looking for to find relief from some physical problems. After breakfast we should start the day with a lot encourage for trekking. We can start walking right from the village or we can use the vehicle for 3 or 2 kilometers to get closer to the trails. In some parts the trail is uphill. The treking time this day can be six or seven hours, usually over here the sun is very strong and the vegetation is very low. We recommend you to take all the items you need for this kind of trekking. The trekking is not fast, rather is slow and always enjoying the great views. These views are different depending on how heigh you are and on what side of the plateau of Tucabaca Valley. Once we have walk around the top of Tucavaca Valley we need to get back to the town of Santiago de Chiquitos for lunch. In the colonial era of South America, regions were controlled or divided between Spanish and Portugueses. A big partion was remained untapped until the end of the seventeenth century. The Jesuits among others abilities new a lot about architecture so they forced local people to constructed the churches. The natives new much about music, but they were also forced to sing and play the notes brought by the Jesuits. Consequently this was another great mutation to native culture. 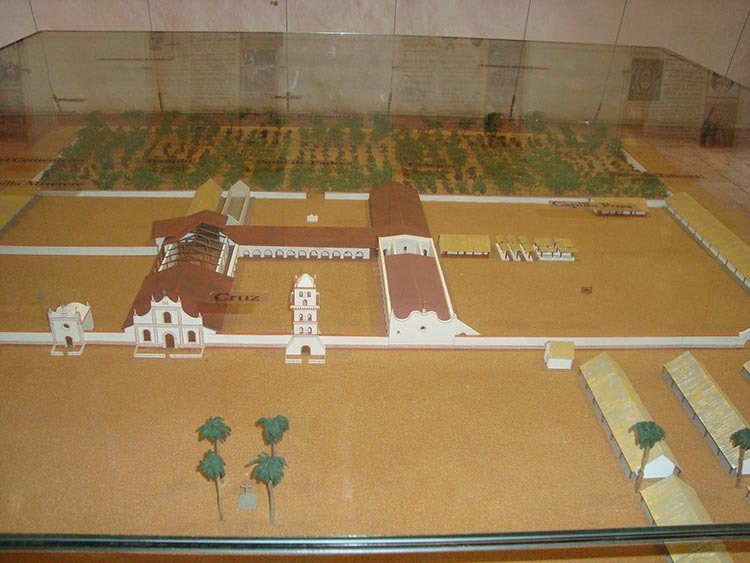 After the expulsion of the Jesuits from the Spanish colonies, most of the missions were abandoned and deteriorated. The first Jesuit missionaries arrived in what is now Bolivia (then known as Upper Peru) in 1572, having moved eastward from the Viceroyalty of Peru, where they had been established since 1568. They were preceded by other orders, amongst them the Augustinians, Dominicans, Franciscans, and Mercedarians. The Jesuits had petitioned the Spanish Crown for permission to enter its holdings in the New World for three decades before it finally was granted in 1566 by Phillip II, while the Portuguese King John III had given them leave to enter Brazil in 1549. For the first hundred years or so, the Jesuits invariably accompanied the Spanish military and were residents of its scattered garrisons. They were not authorized to establish frontier settlements without approval of the civil authorities, which, needless to say (given the authorities' suspicions of the Jesuits' motives) never happened. These early missionaries were almost exclusively native Spaniards. 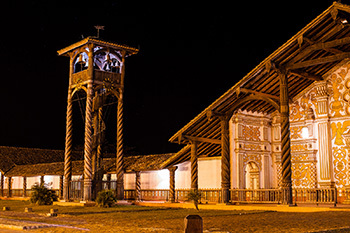 For the most part, they attended to the spiritual needs of the colonists in the arid Altiplano, around Lake Titicaca, and in the cities of La Paz, Potosí, and La Plata (present-day Sucre), where they established chapter houses, churches, and schools, the earliest being that of La Paz, built in 1572 (although not opened until a decade later). 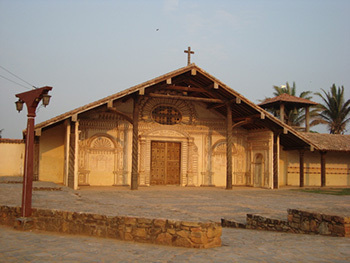 In 1587, three Jesuits reached the remote far eastern outpost of Santa Cruz de la Sierra, at that time located near present-day San José de Chiquitos. (It moved to its present location in 1621.) The following year, the Jesuit Fr. Diego Martínez began sporadic evangelisation of the nearby Itatine tribe. Other tribes, almost of them lingustically part of the Chiquitano (also known early on as Gorgotoqui) or Tupi Guaraní groups, soon were converted, with only the Chiriguano showing consistent hostility. 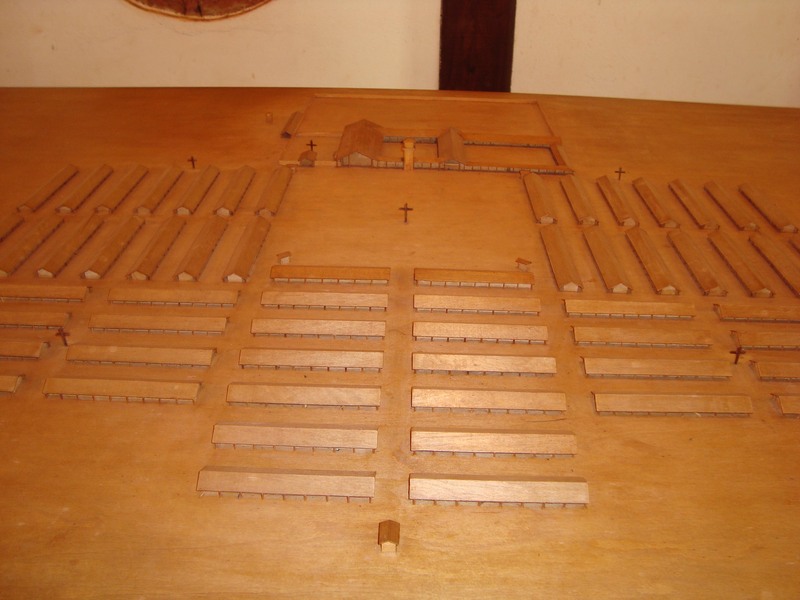 The first chapter house in Santa Cruz was set up in 1592, and in 1605, the settlement was elevated to the ecclesiastical status of a bishopric (what we would call a diocese now). For many years, the Jesuits continued their peripatetic work in the region alongside the other missionary orders. Nowadays you won't find many Jesuits in the Chiquitania (although there are a few there). The Franciscans have been the main influence since 1931 - they were present in neighbouring Chuquisaca Department and throughout the Chaco from as far back as 1540 - and continue to staff the Apostolic Vicariate of Ñuflo de Chávez (headquartered in Concepción) and the recently erected Diocese of San Ignacio de Velasco (as well as other area parishes, including Ascensión de Guarayos) to this day. An apostolic vicariate is similar to a diocese, except that for various reasons - scarcity of clergy or other resources, huges distances, and so on - it is administered directly by the Holy See through an apostolic vicar (whose responsibilities and powers are very similar to those of a bishop or archbishop). Nearly a century passed before the Jesuits grudgingly were given the go-ahead to expand into the Chiquitania (originally including the area now known as the Gran Chaco as well). They were already a force to be reckoned with throughout Upper Peru and elsewhere in the Viceroyalty of Peru. They had established no less than 29 settlements in Argentina, Brazil, and Paraguay alone (which had a total population of more than 100,000 native inhabitants in 1742). In Bolivia, they had been successful as well, with 30 villages established in the west and far northern reaches of the territory by 1705. Another 16 towns had been established between 1682 and 1715 to the northwest of Santa Cruz, amongst the Moxos and Guarayos regions. It is mute testimony to the indomitable courage and faith of the Jesuits - and the peoples they sought to convert - that of all the missions established in these areas, only those of the Chiquitos have survived, and they flourish to this day. The others have long been reduced to ruins.